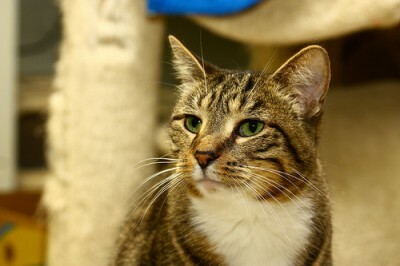 Shawna is an adorable brown and white tabby female. She has a beautiful white bip, white socks, and a cute little white tip on her tail. 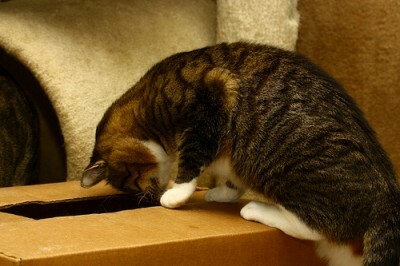 Shawna loves string toys and would enjoy having a family to play with her all day.